If the only way success is measured is with victories, the East Troy High School boys soccer team would have little reason for optimism. But success also is measured by improvement – and by the gauge, the Trojans continue to move forward. 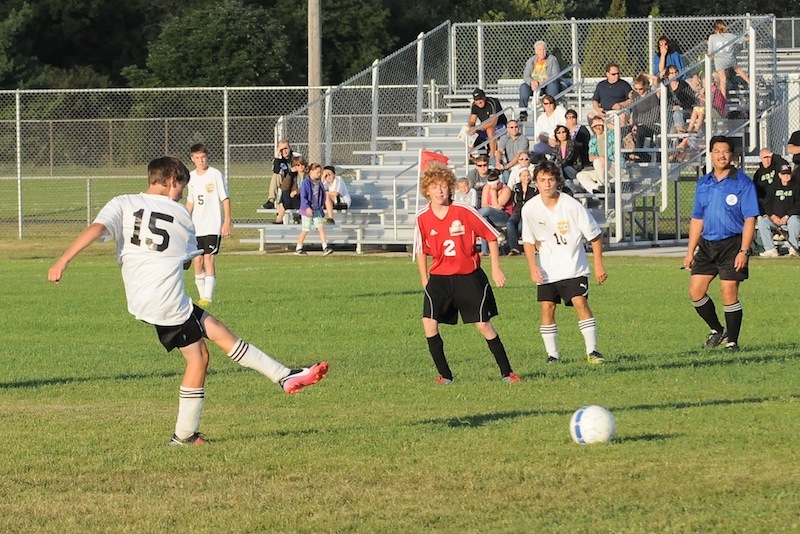 East Troy dropped two matches last week, but cut the final deficit in half both times it took the field. The Trojans opened play Sept. 24 with a 2-1 loss to visiting Evansville, followed by a 2-1 loss two days later at Jefferson. The Trojans fell 4-1 to Evansville in the first meeting of the season and 4-2 against Jefferson. East Troy now is 2-9-1 overall and 1-7-2 in the Rock Valley Conference. The game with Jefferson was knotted at 1-1 until very late in the contest when the Eagles pushed the winning goal into the net. East Troy senior Kai Bottum accounted for both the Trojans’ goals this week to bring his season total to 16 of the team’s 19. Bottum said he was pleased with the effort of senior Charlie Housh, who kept the Trojans’ defense in the right positions against Jefferson. Bottum said he also was pleased that his team only allowed one goal off a set play by the opposition, which he said shows the strides his team’s defense and the goalie duo of Ryan Griffa and Nick Blair have made. East Troy was back in action this week when it hosted Big Foot Thursday, Oct. 3, in a RVC matchup with the Chiefs. Bottum said improvement continues to be the focus as the season winds down. “We want to more fully develop our (offensive) attack, pushing our outside players more forward,” he said.